The church building has been gone many years, you can see the area where the the old meeting house once stood. David Norman and his second wife Susan (Klope) Norman are buried here with several of their descendants. 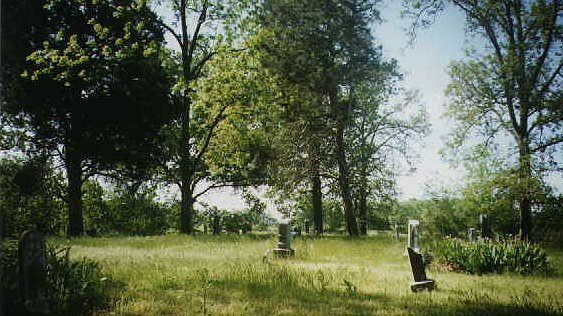 Many of David Norman and his first wife Nancy (Sanders) Norman descendants are also buried at this cemetery. Martha Norman-Wife of F.M. 1868 ? Dau. of ?? ?			? Anna Lucy Knight-Infant dau.		? ?